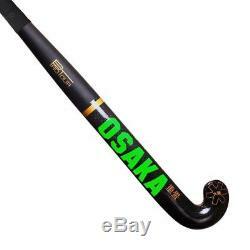 OSAKA PRO TOUR GOLD PRO BOW 2017 MODEL HOCKEY STICK + FREE GIRP +FREE HOCKEYBAG. All Pro Tours are built mainly with a minimum of 22 layers of 3K Japanese Carbon Fibre, laid down in alternating orientations for the optimal balance of stiffness and unique Osaka feel. The maximum bow point lies at 250mm from the cross with a max height of 24mm. This makes for a next generation shape which we have given a slim and dynamic profile, ideal for modern technical play-styles. The design is focused on 3D ball control first, with flicking and shooting a close second. Osaka Pro Touch 2016 BLACK (buffed and perforated). 1,5mm VibraStop foam layer. SIZE:36.5''''37.5. 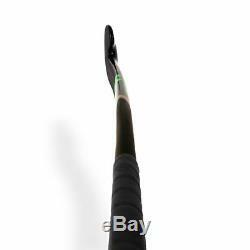 The item "OSAKA PRO TOUR GOLD PRO BOW 2017 MODEL HOCKEY STICK SIZE37.5 and 36.5 GRIP+BAG" is in sale since Monday, July 17, 2017. 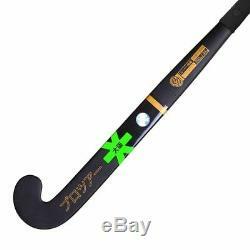 This item is in the category "Sporting Goods\Team Sports\Field Hockey".items" and is located in SIALKOT PUNJAB.